Opoutere beach is five kilometres of pristine white sand facing the Pacific Ocean. Standing on the beach you can turn a full 360 degrees and not see a single straight line (even the horizon curves gently), this is truly a place to be at one with nature. As beautiful as it is the beach commands respect, please take the time to study the water before you swim and keep an eye on your fellow beach goers. Like all New Zealand beaches Opoutere beach can one day be the most benign, family-friendly place you’ve ever fallen in love with and the next day be a boiling tempest that you wouldn’t turn your back on. Strong currents can develop and the most experienced swimmer can get into difficulty. If you are not confident in the wilder surf you may want to stick to the estuary side where the currents are still very tidal but not as powerful as the ocean’s rips and undertows. 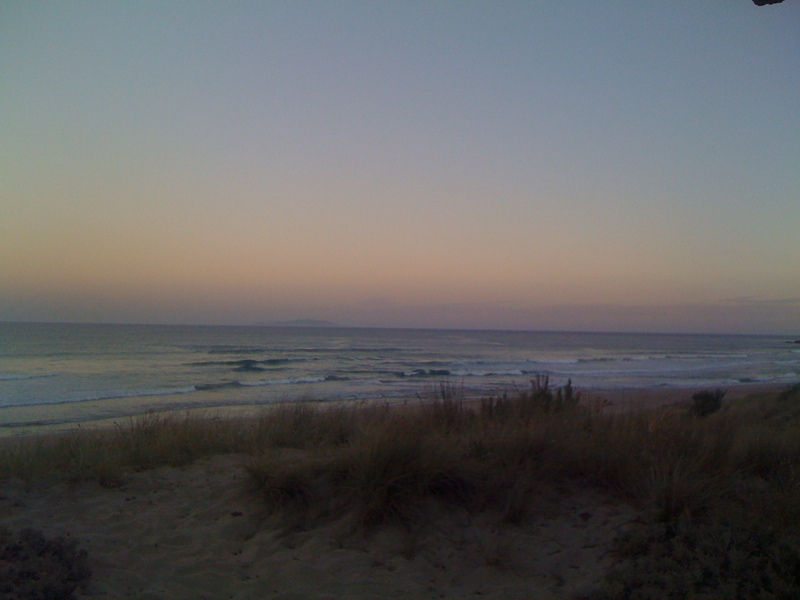 There is no surf life-saving patrol at Opoutere, the nearest patrolled beach is Onemana, a 10 minute drive south. The Onemana Beach Community Rescue Service operates a limited patrol during the summer months, Labour Weekend and the Easter holiday. When the Opoutere Camping Ground is open (between Labour Weekend and Easter) a life belt and set of flippers located in the top kitchen can be used in case of a beach emergency. In any case of trouble on the beach emergency services should be called by dialling 111. Keep an eye on the weather forecast, particularly any marine warnings. Opoutere features a beach break and right point bar. It’s not usually crowded and will suit surfers with a bit of experience. Local surfers will tell you that “there’s no surf in Opoutere, it’s mostly flat, you should really go into Whangamata…” !!! Check Metservice for Coromandel surf info or have a look at the Whangamata surf cam to see how the local swell is shaping up. Dude, is my board ready? Local surfboard guru Pete Anderson has a workshop in Whangamata and can repair dings, have a yarn or even match you up with the board of your dreams. Visit his website Anderson Surfboards for contact info. The beach is enjoyable at any time in the tide, however the estuary is best enjoyed two hours either side of high tide. Of course, mud-larks and small children may prefer to explore the mudflats at low tide! As a rule of thumb the tide peaks about an hour later inside the estuary than on the ocean beach. The current inside the estuary is strong and a local tradition is to enjoy a “float” on the incoming or outgoing tide, usually between the boat ramp and the jetty. Speed restrictions and life jacket rules are displayed near the boat ramp on Opoutere Road. 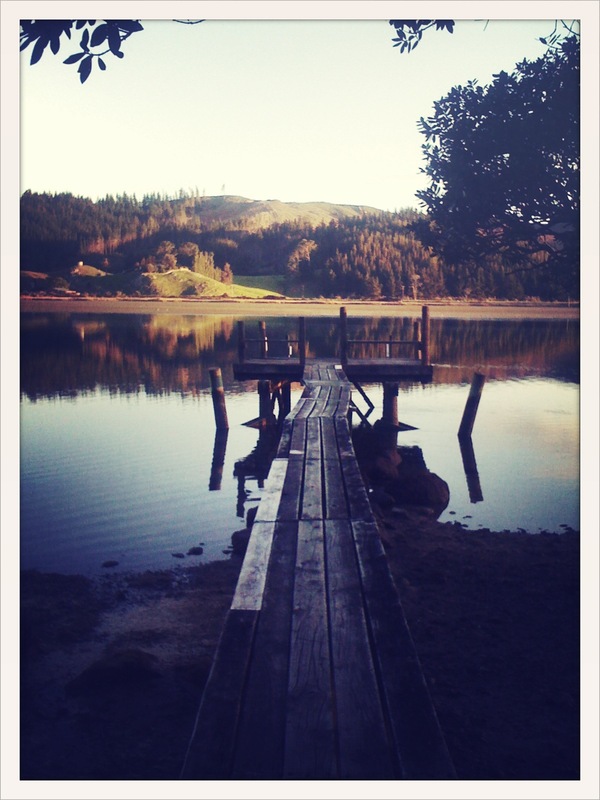 If you are concerned about any dangerous boating on the estuary contact the Whangamata Harbourmaster on 021594563. For boating rules and safety information visit the Waikato Regional Council website. The bar at the mouth of the estuary requires a high degree of seamanship to cross, please check the surf conditions before heading out to the open sea. The Waikato Regional Council website has some very useful tips for bar crossings. When using the boat ramp to launch your boat please park your car considerately i.e. on the grass area provided, not alongside the road which presents a hazard to pedestrians using the walkway. Opoutere, like the whole Coromandel area, has a Total Fire Ban during the summer months (mid-December to early February). The fire ban prohibits the use of domestic fireworks, chinese lanterns, beach fires, braziers, non-approved incinerators, solid fuelled BBQ’s (wood/charcoal), chimenea, traditional cooking and hangi fires. The Onemana Voluntary Rural Fire Service conduct patrols through the Opoutere village and along the beach every night during this fire ban period. Fire Chief Jo Adams is also a fixture at the Opoutere Regatta and is a very involved figure in the community. Don’t think you can light a romantic fire on the beach without Jo sniffing you out and setting you straight! For the rest of the year there is a Restricted Fire Season which requires a permit for the activities listed above. Click here for more information. We are surrounded by forestry and a devastating fire on Maungaruawahine several years ago illustrated the risk that fire poses our community. Please respect the relevant fire restrictions at all times of year.